The establishment of the Intergovernmental Platform on Biodiversity and Ecosystem Services (IPBES) points to the crucial role attributed to science and knowledge for the successful implementation of biodiversity politics by both scientists and policy-makers. With the increased importance of biodiversity in international politics, and in part inspired by the success the Intergovernmental Panel on Climate Change (IPCC) has had in raising awareness of global warming, the call for an ‘IPCC for Biodiversity’ was successful. 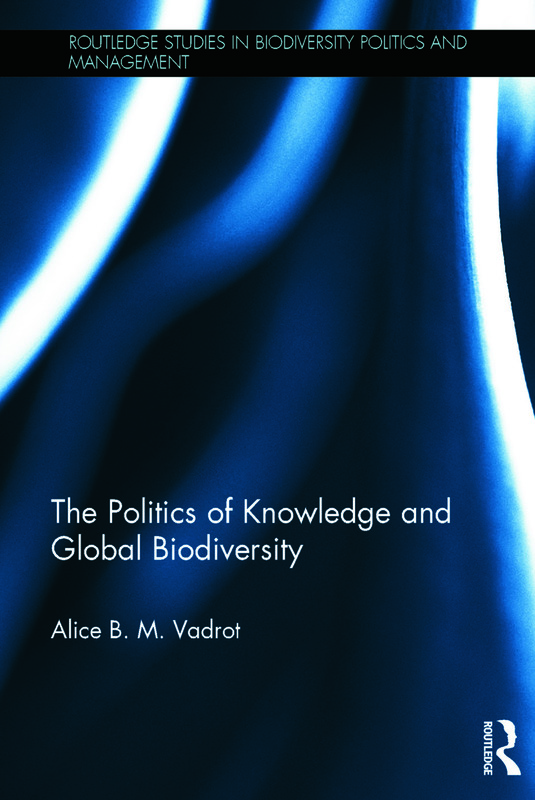 The Politics of Knowledge and Global Biodiversity gives a full overview of the process of its implementation as finalised in 2013 and proposes an innovative conceptual framework that puts this specific case into a more general perspective of international politics and relations. It provides a detailed empirical analysis of the knowledge politics associated with the establishment of IPBES and its conceptual framework and methodological approach is grounded in a theoretical perspective. This pioneering work is the first to examine IPBES in this way and is essential reading for researchers and scholars of International Relations, Environmental and Biodiversity Politics, Science-Policy Interfaces and Global Environmental Governance. It will also be of interest to political scientists and social scientists.